New pickup will have 200 parts and accessories available at launch. 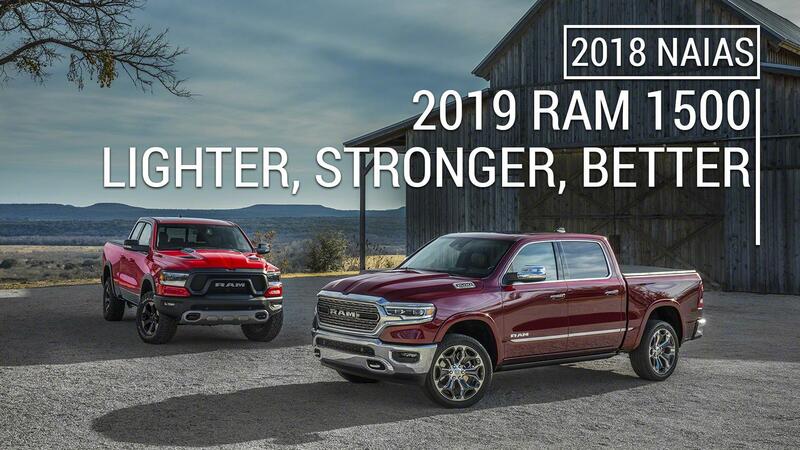 Last month saw the debut of the all-new 2019 Ram 1500. While there are a slew of variants coming down the pipe (Ram 1500 Tradesman, Ram 1500 Sport, etc. 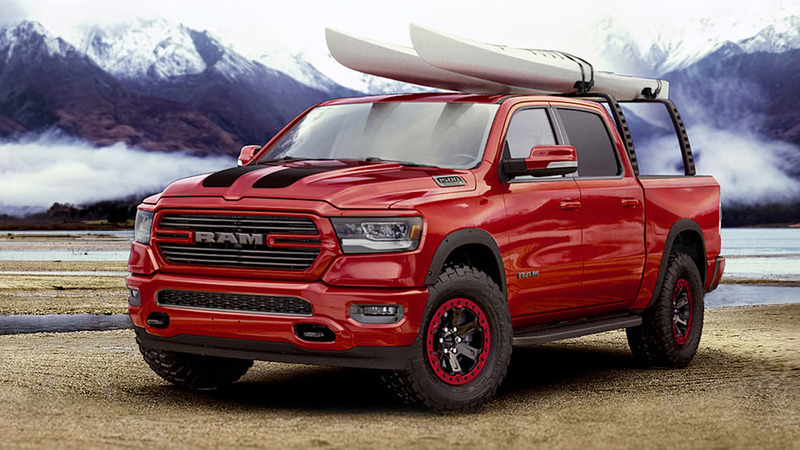 ), Ram used the 2018 Chicago Auto Show to showcase a whole host of Mopar parts and accessories on a bright-red 2019 Ram. 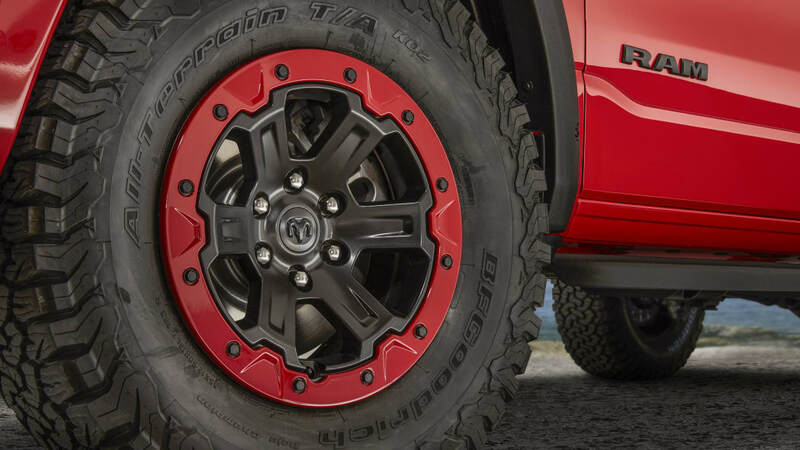 In total, there will be more than 200 new parts available when the new Ram hits dealer showrooms later this year. 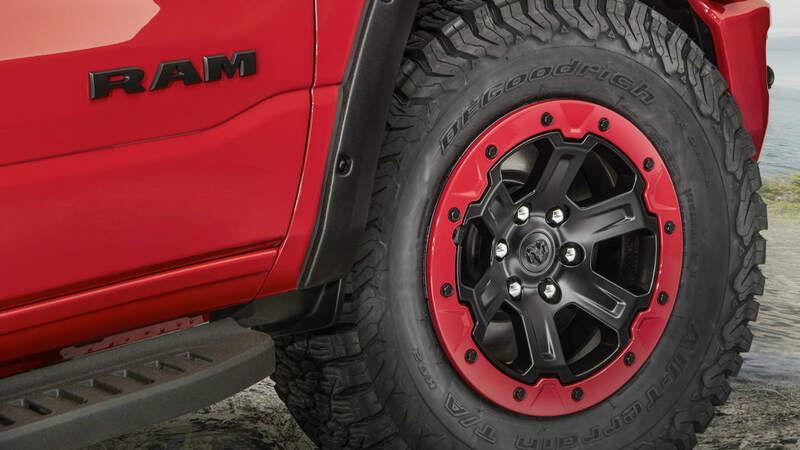 The truck here is a Flame Red 2019 Ram 1500 Big Horn Sport 4x4. It's sporting a 2-inch lift kit, 35-inch tires, 18-inch beadlock wheels, black fender flares and black aluminum running boards. The bed has the adjustable "Ram Rack," a sort of frame that can be used to strap down large items like a couple of kayaks. The rear bumper has a bed step that articulates outward when needed. 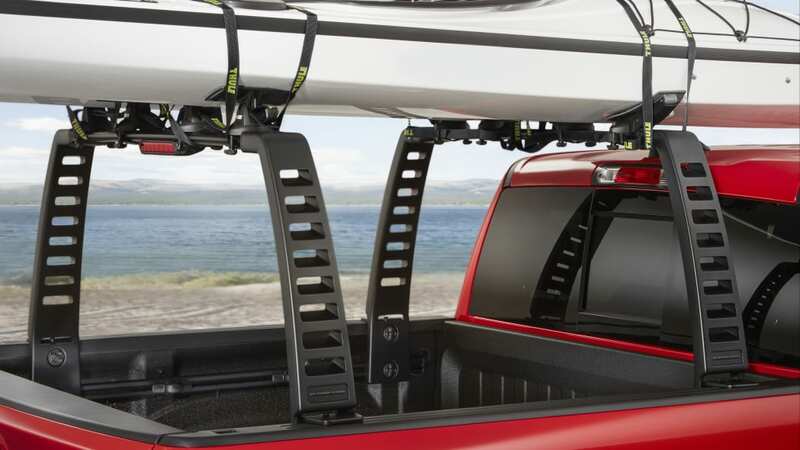 The Nissan Titan has a similar feature. There are a few performance upgrades, too, though Mopar doesn't list any new power ratings. 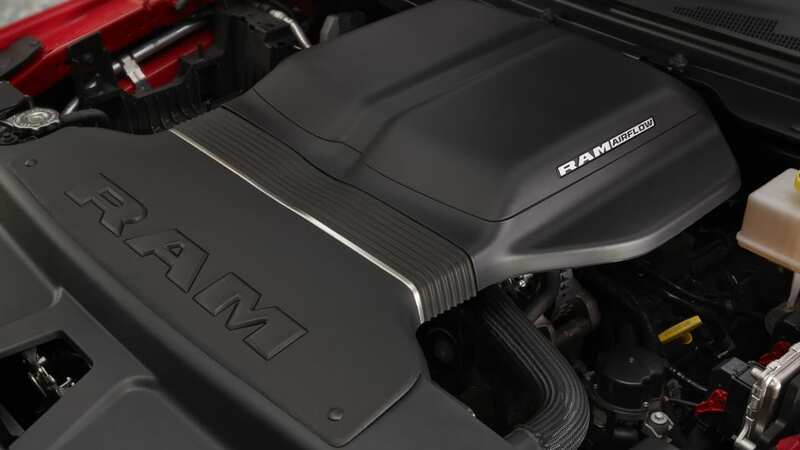 There's a new cold-air intake for the 5.7-liter Hemi V8 that's functional with all of the new Ram's hood designs. 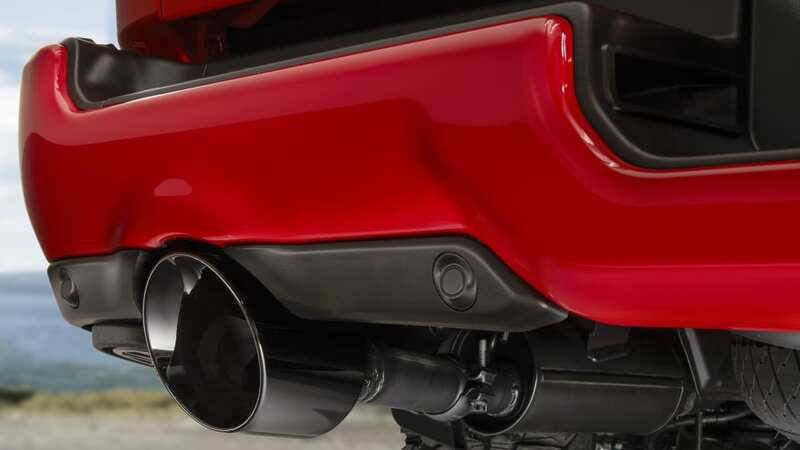 The Hemi also gets a new stainless steel catback exhaust system. The 5-inch exhaust tips fit into the bumper. 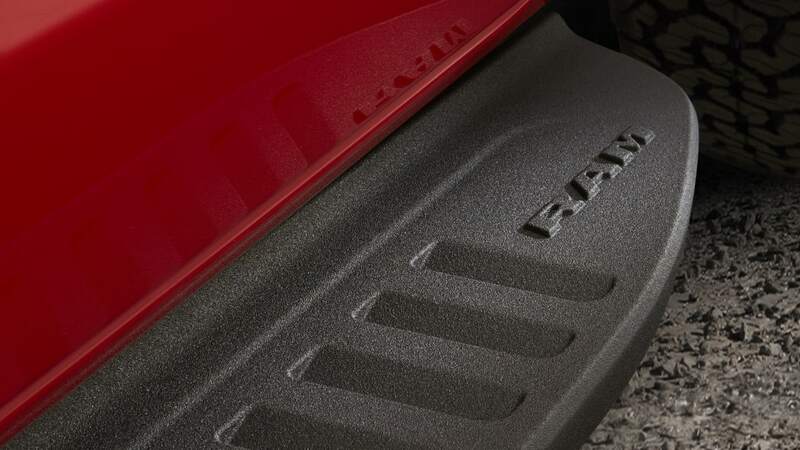 Visually, the Ram gets a black Mopar logo on the hood, black Ram emblems and badges, black tow hooks and a Mopar logo in the trailer hitch. 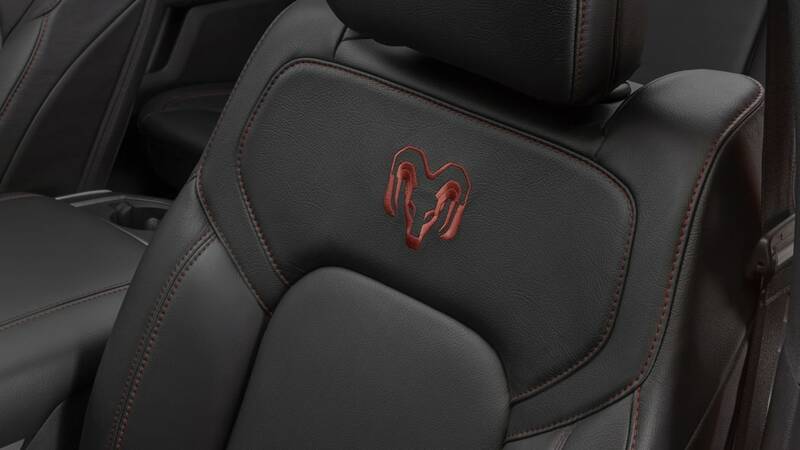 The interior is done up in Katzkin leather with red stitching, and the ram's head logo on the seat backs and rubber floor mats. One of the coolest things about all of these parts is that customers can have them installed before ever taking delivery. 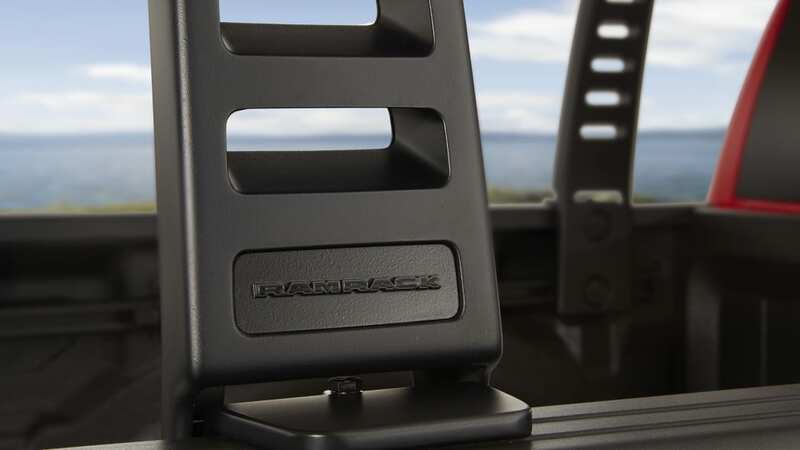 Those parts will also be backed by the same warranty as the rest of the truck.